Kevin Vuong is a social entrepreneur, city-builder and military officer using social innovation to build healthier, complete communities. For his service and impact, Kevin has been named: Canada’s Top 30 Under 30; Her Majesty The Queen’s Young Leader for Canada; and Fellow of The Royal Society of Arts, The Aspen Institute, and The Royal Commonwealth Society. 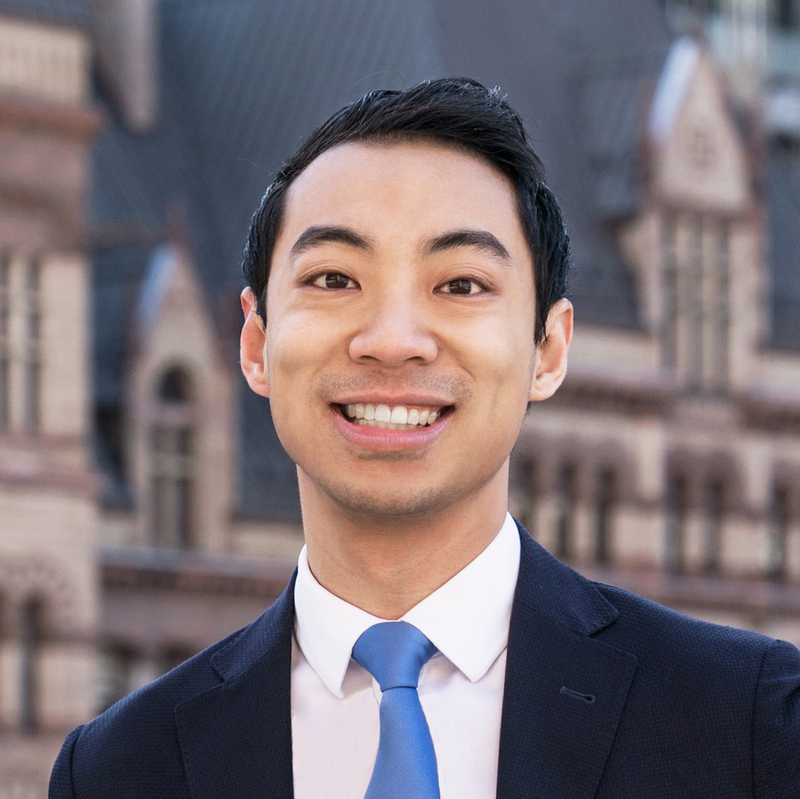 In the upcoming municipal election, Kevin is running for Toronto City Council in Ward 20. Everyone is king on King Street, so the city promotions would have citizens believe, but discourse between transit advocates and businesses along the King Street Pilot area created a us-versus-them, net-zero conversation in the media. As a response, Kevin Vuong organized the King Street Eats grassroots movement to show support for both the pilot project and restaurants along the route. At several lunch and dinner meetups during the fall and winter of 2017-18, citizens put their money where their mouths are, having a meal and taking the opportunity to converse with the restauranteurs both for -- and importantly -- against the pilot. As Toronto continues to change, debates will rage about bike lanes, gentrification, public housing and more. Kevin will describe how he framed these discussions to find consensus and meet neighbours in a productive context.